More Apps Macinmind Software, Inc.
Is there a better alternative to Master Spell? Is Master Spell really the best app in Language category? 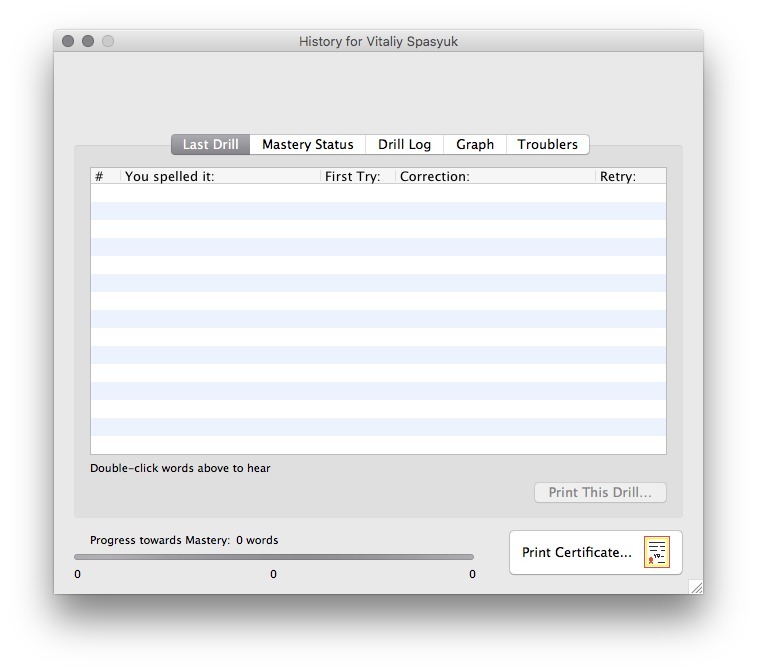 Will Master Spell work good on macOS 10.13.4? 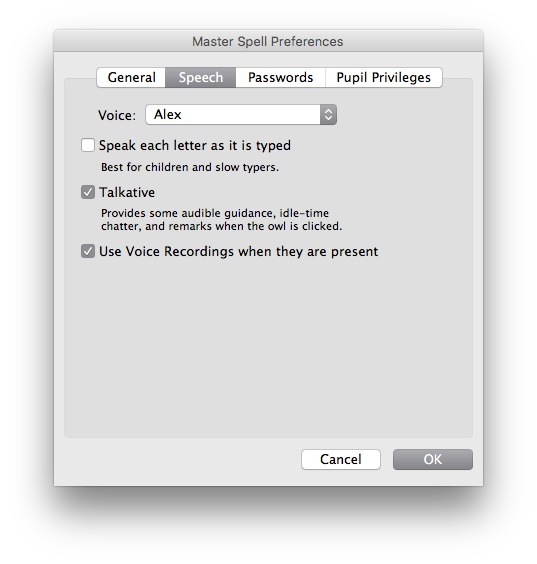 Master Spell administers spelling drills using the Mac's speech capabilities. 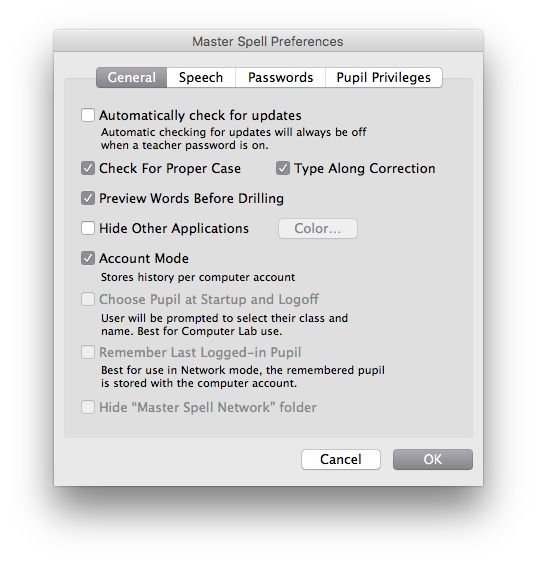 Where programs for beginning spellers leave off, Master Spell takes you to mastery of spelling for ages 8 through adulthood. 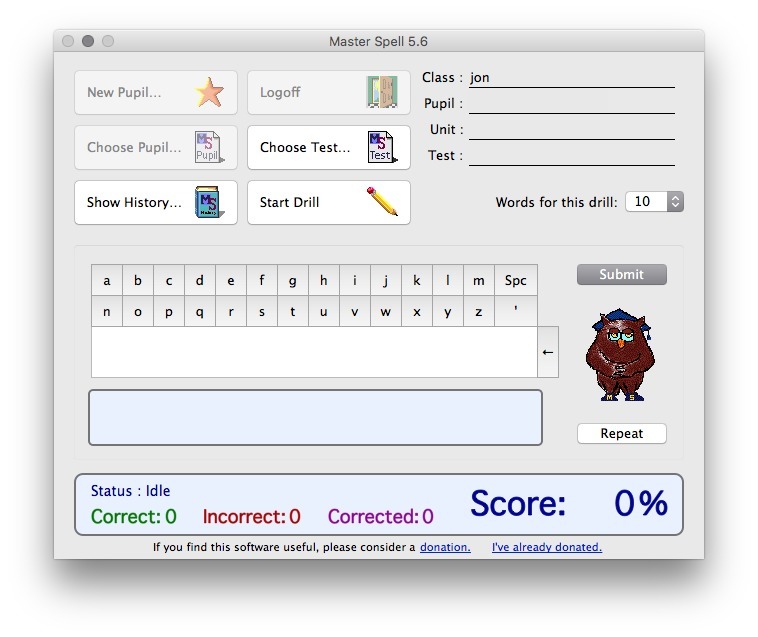 Features custom spelling word lists, alternate spellings, adjustable pronunciation and definitive clues, audible and visible cooperative correction, review of misspelled words, individual test histories. Master Spell needs a rating. Be the first to rate this app and get the discussion started!